"Miss Bala" found a modicum of success this past weekend purely because it was a medium-sized fish in a small pond. Namely, it was the only new wide release on Super Bowl weekend. Opening on Super Bowl weekend means you can kiss your Sunday ticket sales goodbye, so most studios stay away from it. But the people behind "Miss Bala" must have seen that there was nothing else scheduled for the slot, and said "We may not be the biggest, and we may not be the best, but we can be the only game in town. Okay, except for a few pesky holdovers." 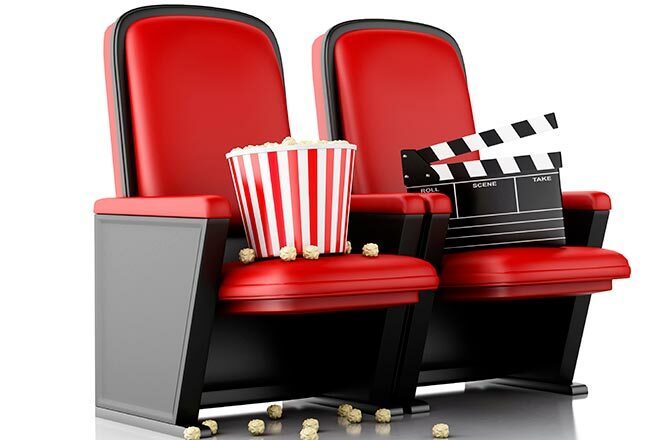 Two of those pesky holdovers did beat out "Miss Bala": "Glass" in its third weekend and "The Upside" in its fourth, but it did beat out the twelfth weekend of "Green Book," so I'm stuck having to pretend that it matters. Gina Rodriguez stars as Gloria, an American makeup artist visiting Tijuana so she can help her friend Suzu (Cristina Rodlo) win a beauty pageant. A nightclub shooting sees the two separated, and Gloria's search to reconnect lands her under the thumb of the gang responsible for the shooting. The gang's leader Lino (Ismael Cruz Cordova) is willing to both let Gloria live and help her find Suzu, she just has to do a little extremely deadly favor for him first. She does the favor, which lands her in hot water with a DEA agent (Brian Reich), who's willing to drop charges and provide her with safety, she just has to do a little extremely dangerous favor for him first. And so it goes, with Gloria falling ever deeper into a world of gangs, cartels, corrupt cops, human trafficking, fixed beauty pageants, and cell phone tracking. For some reason, the film is big on plot threads that involve cell phone tracking. Probably the biggest specific problem with the film is that it doesn't know quite what to do with Lino. He starts out as the most intelligent member of the gang, the one who knows that Gloria will respond to a stern-but-calm demeanor rather than blatant hostility. Then he does something cowardly and sadistic. Then the film gives him a "humanization" arc, where we get an insight into his life and a determination to stay true to his roots. Then he's practically heroic during a feud with the DEA where we're supposed to be asking which side are the true villains (sorry, but still the gang). Then he commits an unforgiveable act of violence (one that's makes Gloria a tad unforgiveable as well). Then he's the straight-up villain for the rest of the movie, concluding with a twist where he's even more of a villain. Is it really a twist if the movie has already made its sale on this character being the villain? To be clear, I don't blame the charismatic Cordova, it's just that the script keeps changing what it wants the character to be. 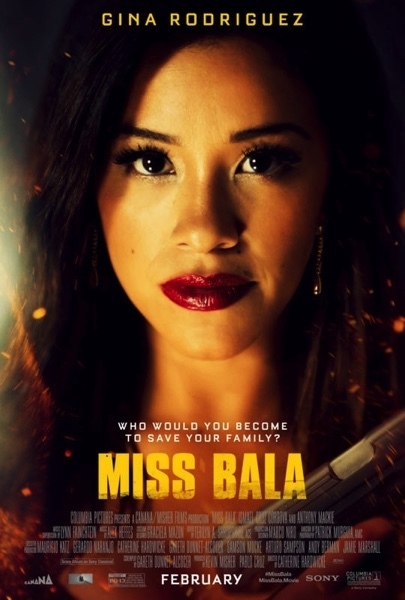 "Miss Bala" is no more or less ambitious than any number of similar "everyday person gets dragged into criminal underworld" movies. Maybe it's a little less ambitious because it just has to water its material down for a PG-13 rating (do we really need a film whose catchphrase is "In the end, the bullet solves everything" to be PG-13?). Then again, maybe it's a little more ambitious because of Gina Rodriguez, who elevates the material from "blatant bomb" to just "bomb." I'm patiently awaiting her being allowed to carry a better movie. I'll say that the good performances and non-grittiness cancel each other out to form one bland, forgettable movie. "Miss Bala" is rated PG-13 for sequences of gun violence, sexual and drug content, thematic material, and language. Its running time is 104 minutes.